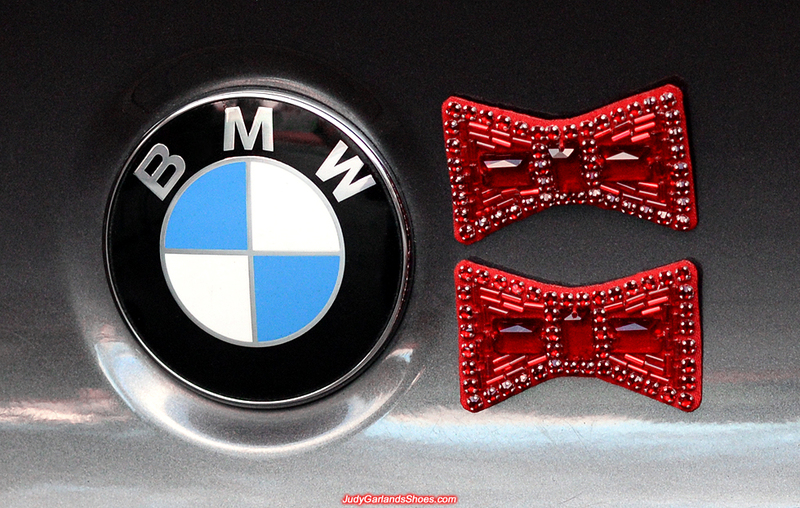 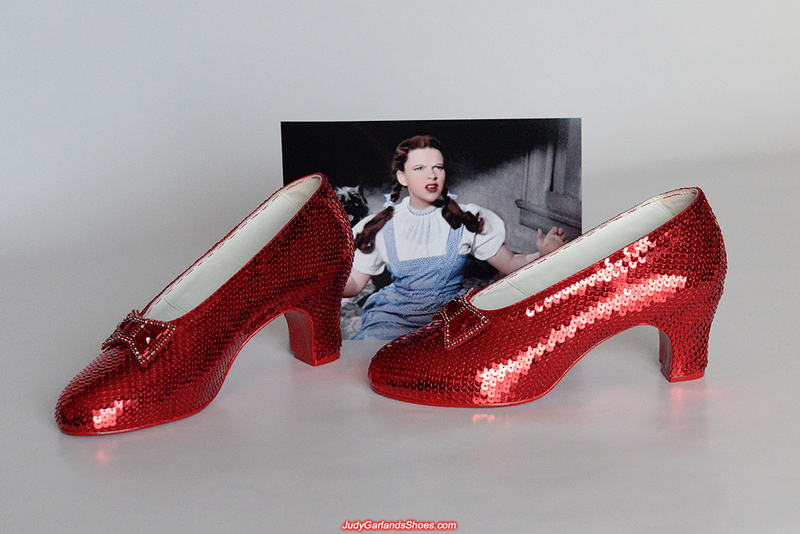 Our next job is to make a pair of hand-sewn ruby slippers for an executive director and this is a beautiful pair of leather and silk fabric overlay bows we finished crafting. 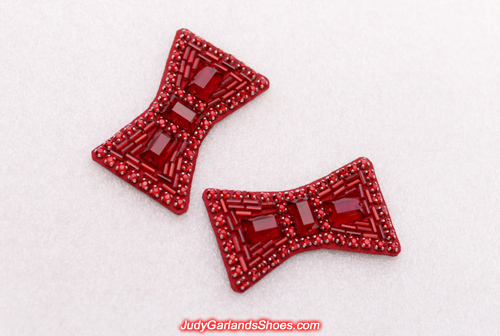 The high quality glass rectangular glass stones with the authentic "V" cuts on the sides, rhinestones and bugle beads are custom-made to match the exact stones found on the original bows. 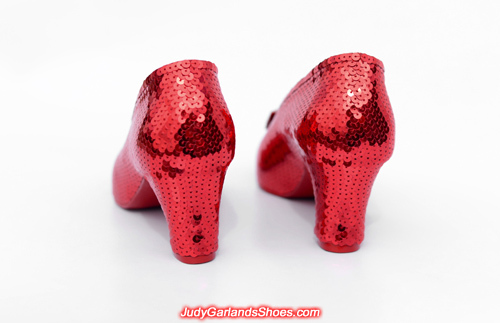 Our shoes in Judy Garland's size 5B is finished and ready for sequining. 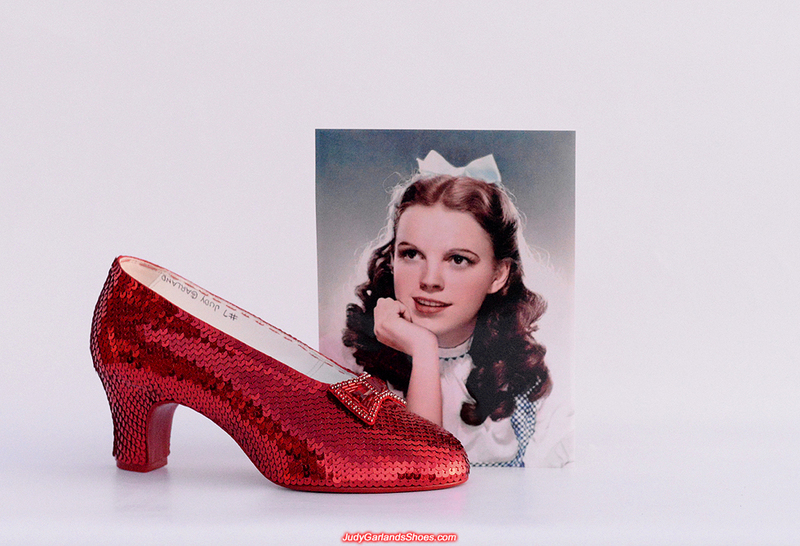 The wooden heels, leather insoles and outsoles, leather and silk fabric uppers etc, are all made from scratch to reproduce the exact 1930's shape and size of the shoes worn by Judy Garland as Dorothy in MGM's The Wizard of Oz. 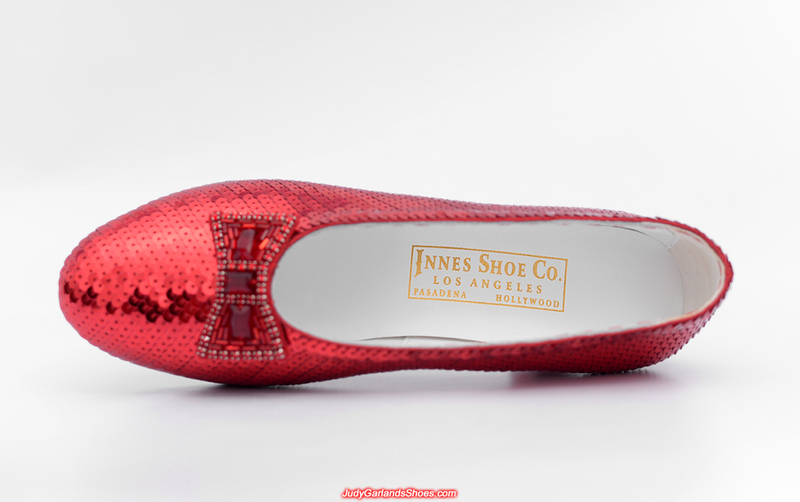 An authentic golden embossed label is stamped on the right insole with a rectangular border around the words that read "Innes Shoe Co., Los Angeles, Pasadena, Hollywood." To add the final touch, "#7 Judy Garland" is written inside both shoe. 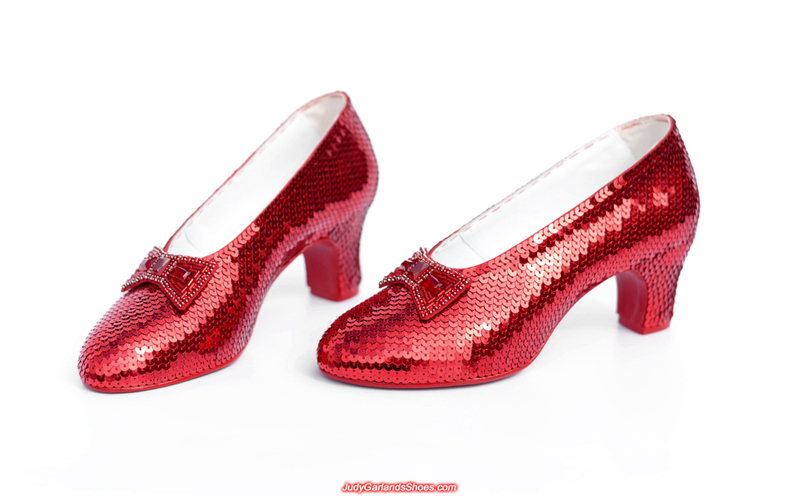 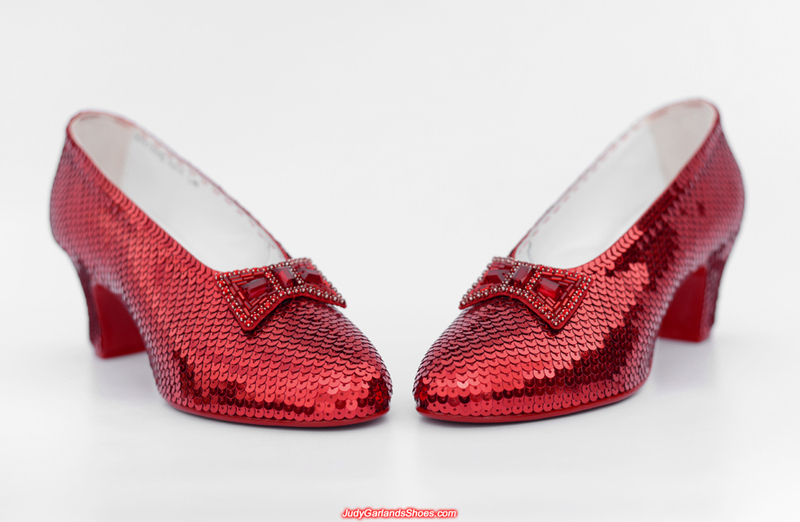 The ruby slippers will be crafted to look brand new and they can be worn. 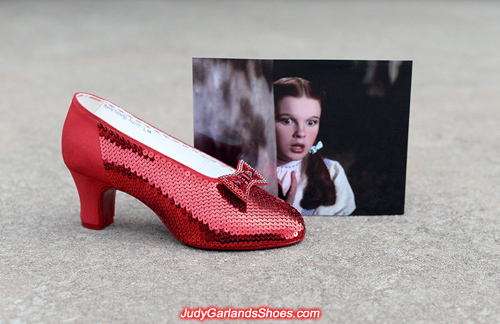 This is a genuine and high quality pair of shoes that would impress MGM costume designer in Gilbert Adrian. Sequining is in progress on the right shoe and it looks just as beautiful as the brown eyed American girl. The right shoe is finished and it looks beautiful and perfect. Roughly 2,500 sequins is sewn with a straight needle, then the bow is sewn onto the shoe. 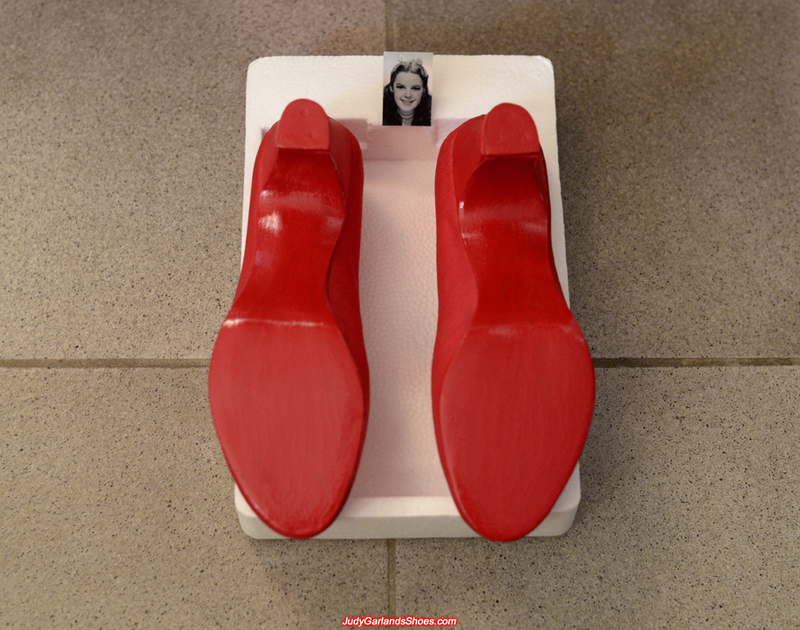 The same job needs to be done with the left shoe. 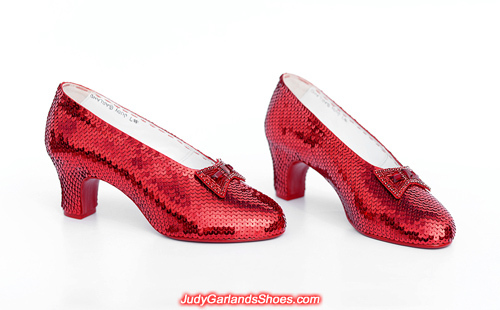 The shape of our shoes is spot on, the sequining is spot on. 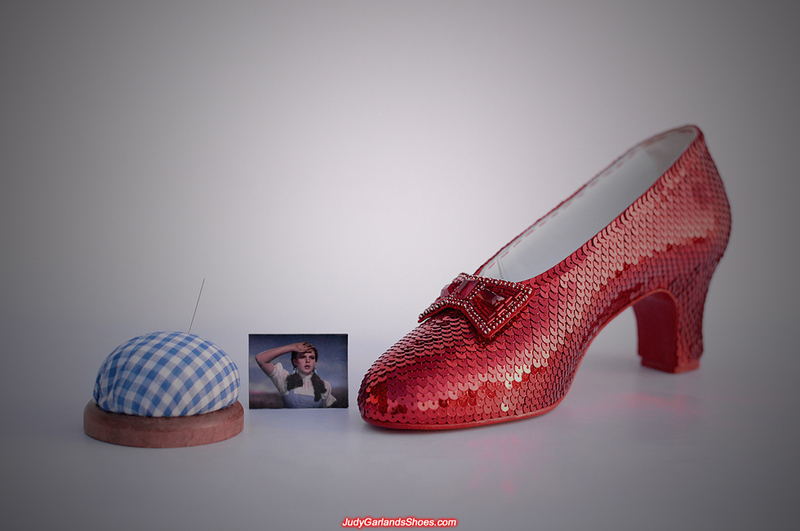 A masterpiece is nearing completion. 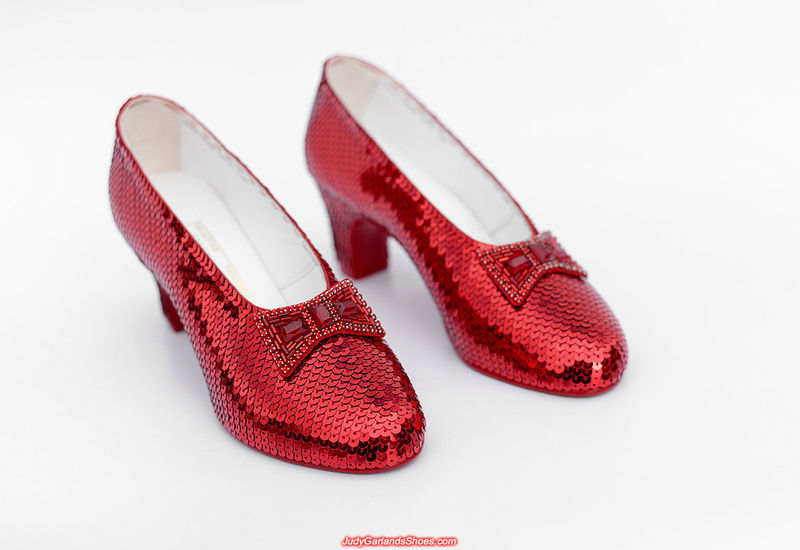 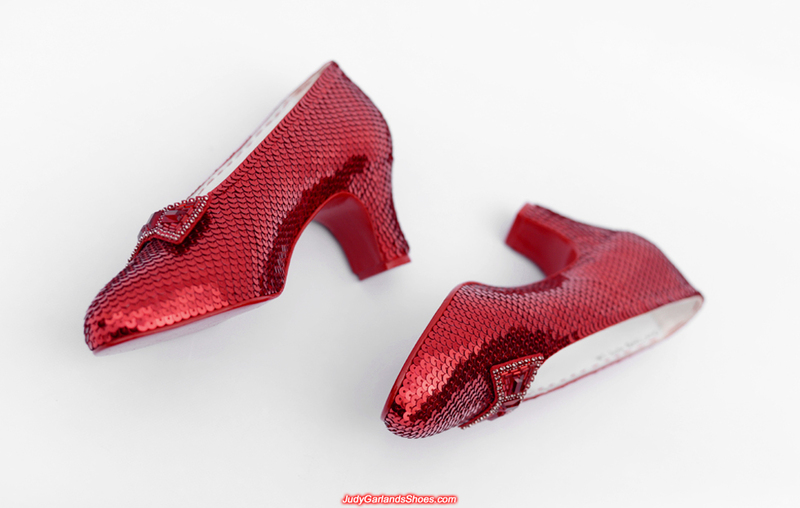 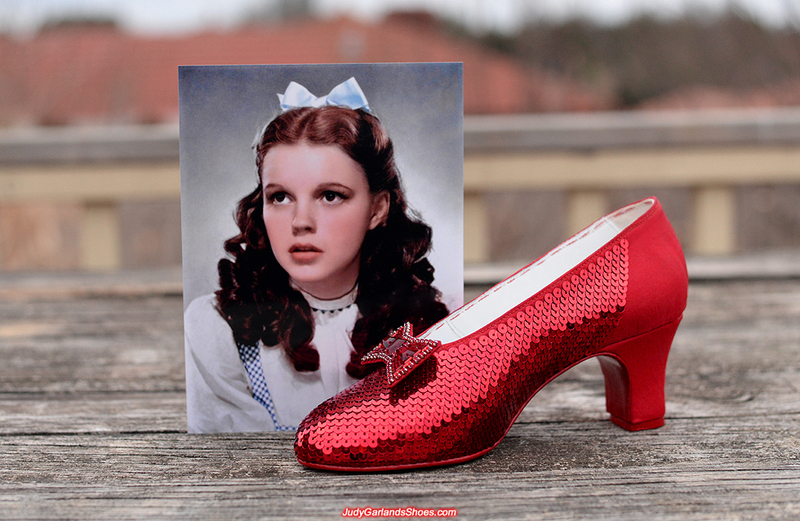 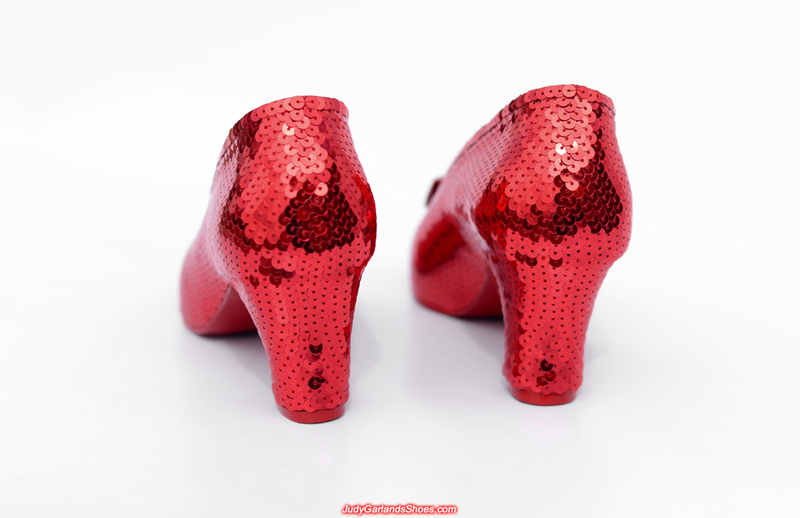 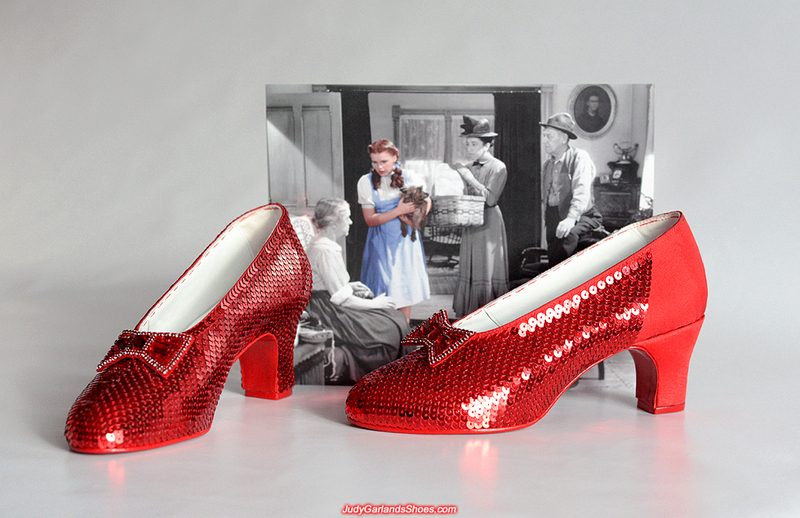 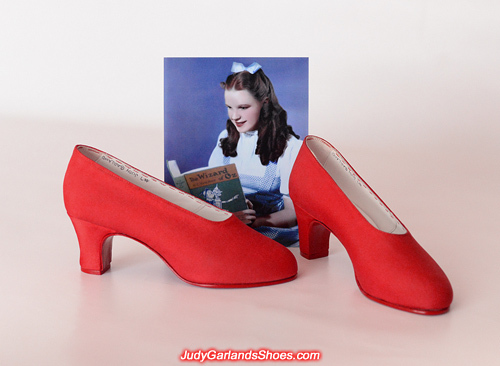 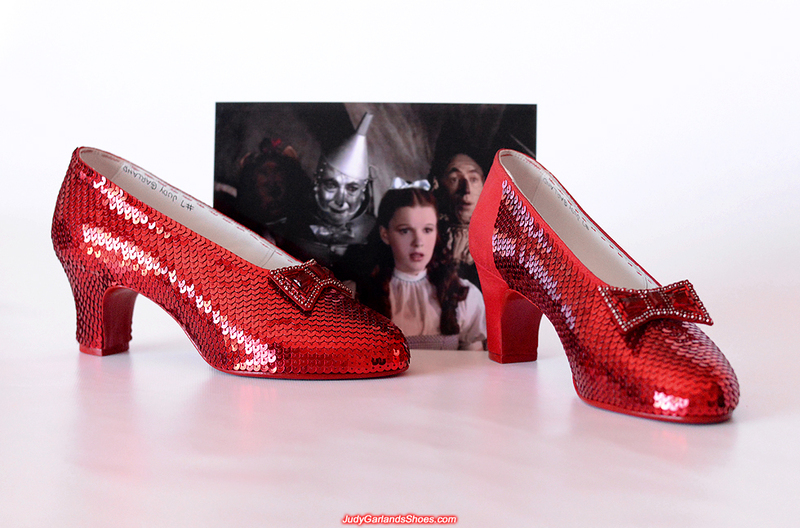 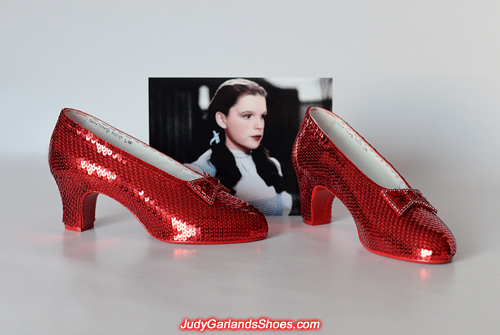 This stunning pair of wearable hand-sewn ruby slippers in Judy Garland's size 5B is finished. Everything is made from scratch including our shoes to look brand new, then sequined to cover the entire shoes using the same technique as the original ruby slippers.